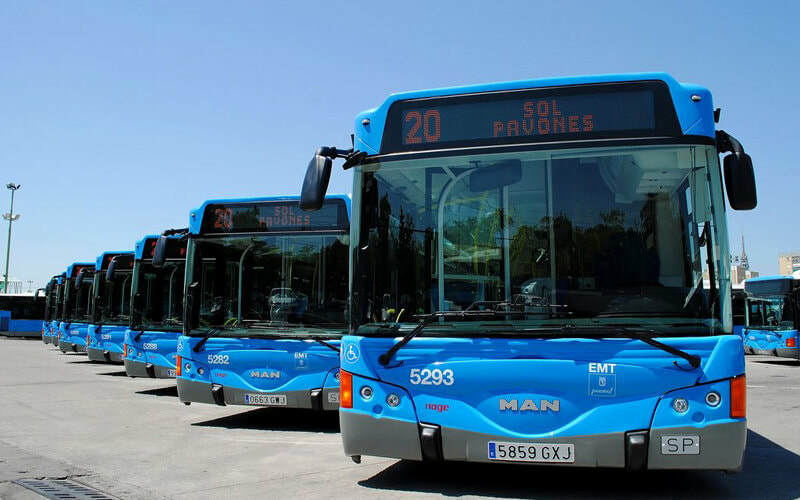 Madrid cuenta con una importante red de autobuses urbanos pertenecientes a la Empresa Municipal de Transportes (EMT), que recorre prácticamente toda la ciudad. La mayoría de las líneas circulan de lunes a viernes entre las 06:00 y las 23:30 horas, con un intervalo de 4 a 15 minutos, dependiendo de la franja horaria y reduciéndose esta frecuencia durante los fines de semana. Salvo los sábados, domingos y festivos cuyo intervalo de servicio es de 7:00 a 23:00 horas. Debes acceder y descender del autobús a través de la rampa habilitada al efecto, por la puerta central o trasera. Recuerda que debes portar un título de transporte válido pero que estás exento de realizar su validación en aquellos autobuses que no dispongan de validadora en la plataforma central. Todos los autobuses disponen de un sistema de información al viajero mediante mensajes escritos y orales que informan sobre la hora, próxima parada, destino, líneas coincidentes y posibles desvíos de la línea. 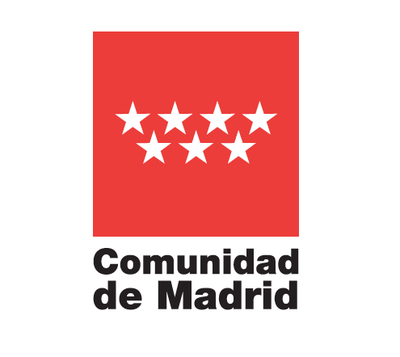 Para más información sobre la accesibilidad de la red de autobuses urbanos de Madrid consulta este enlace. Este documento de PDF resume todos los servicios de accesibilidad disponibles para los usuarios en la Red de Autobuses urbanos. Teléfono: 902 50 78 50 en horario de lunes a viernes de 7 a 21 horas, y sábados y festivos de 7 a 14 horas. Madrid has a large network of city buses that belong to the Empresa Municipal de Transportes (EMT), which practically cover the whole city. The majority of the lines run Monday to Friday from 6am to 11.30pm, at 4 to 15 minute intervals, depending on the time of day, and offer a less frequent service on weekends. On Saturdays, Sundays and public holidays the service runs from 7am to 11pm. There are also night buses, known as “búhos” (owls), that cover twenty-six different routes, although they all depart from the Plaza de Cibeles. Prices are the same as on the daytime services but buses are less frequent. From Sunday to Friday and on bank holidays the “búhos” depart from the terminus every 35 minutes, from 11.55pm until 4am. After that another bus comes along at 5.10am. On Saturdays and the nights before public holidays the “búhos” depart from Cibeles every 15 to 20 minutes, from 11pm until 7am. You should get on and off the bus using the access ramp, either via the doors in the middle or at the back. Remember to always have a valid ticket with you although you will not be required to validate it on buses that do not have a validating machine in the central area. wheelchairs must be positioned facing the rear of the bus, with the brakes engaged. you can travel with an electric wheelchair (scooter design) provided that it is essential to your mobility requirements, does not weigh more than 300 kilos and is not too large for the reserved area in the centre. Accessible information boards at bus stops that provide information that can be read and also heard through a voice reporting system activated by pressing a button (PMV). There is a passenger information system on all buses with messages that can be both read and heard, advising passengers of the time, the next stop, the destination, services running along the same route and possible diversions. For more information on the accessibility of the city bus network click on this link. Telephone: 902 50 78 50 Monday to Friday from 7am to 9pm and Saturdays and public holidays from 7am to 2pm.